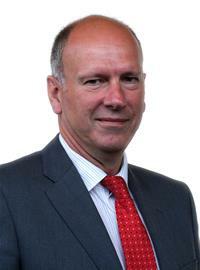 I’m David Rees, and I’m the Chair of the Assembly’s Health and Social Care Committee. The Health and Social Care Committee is a group of ten Assembly Members from across Wales, who represent the four political parties who make up the Assembly. Since 2011 our role has been to hold the Welsh Government to account on health and social care in Wales. As the Committee’s work will come to an end before the Assembly elections next year (when people in Wales will get to choose who represents them for the next five years), we’re looking back over the past five years, and we want to know what you think. We would like to hear views from everyone who would like to comment: those who have worked closely with us, those who have never engaged with us, and everyone inbetween. We are gathering views from people across Wales on the past five years, including our way of working, the work we have done, and the impact it has had. We also want to hear about what the key challenges are going to be for health and social care in the next five years. How have we had an impact on health and social care in Wales? What has been our biggest achievement? If we could have done one thing differently, what would it be? Have we struck the right balance between scrutiny of policy, finance and legislation? What do you think will be the three biggest challenges for health and social care in Wales? So if you have a view on these questions, please download a consultation response form or write to us at SeneddHealth@assembly.wales. Please make sure that your response is with us before 25 September 2015. We will consider all of the responses we receive when we’re looking at our legacy, and will publish our conclusions before the end of the Assembly. Follow @seneddhealth or #HSClegacy on Twitter for all the latest information.